Did you know that the Glasgow Subway is 120 years old and is the third oldest underground system in the world behind London and Budapest? The Clockwork Orange as it’s affectionately known transports 13 million people around the city every year and has been undergoing its biggest modernisation programme in 30 years. 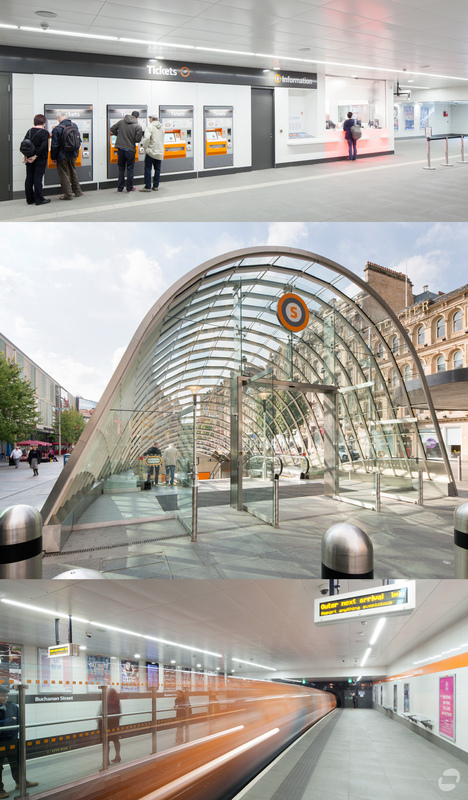 We’ve been working with Graham Construction photographing their sterling efforts to realise SPT’s ambition of a contemporary, welcoming and accessible environment for its underground passengers. Images shown are from St Enoch’s and Buchanan Street undergrounds. See our photographs of the Transport Museum’s construction here.